A perfect holiday tale, this Christmas special is a claymation masterpiece! 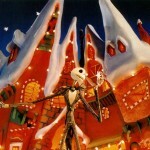 In “The Nightmare Before Christmas,” Jack Skellington is the leader of Halloweentown, and they are celebrating their annual Halloween holiday! However, Jack is not feeling it this year. He feels like something is lacking – something is missing. During a trek through the woods, he finds a special ring of trees that allows him to visit another holiday town – Christmastown. 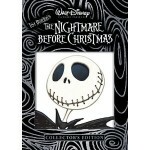 Now, Jack wants to celebrate anew with a new holiday, but will he lose himself, and all of Halloweentown, in the process?